The monarchs are on their way to their winter capital. Butterflies, that is, heading for Mexico. 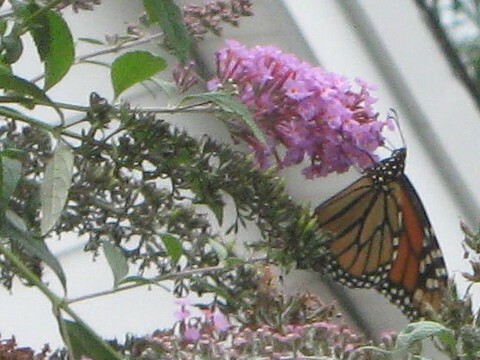 One visited my Butterfly bush on this cloudy day. It sipped a good nectar snack, and fluttered along on its way. I passed along word to Journey South, but that might be my whole sighting of the annual migration.